Boeing and Jeju Air announced an order today for three Next-Generation 737-800s. The order, valued at nearly $300 million at current list prices, will become the airline’s first direct-purchased airplanes from Boeing and fuel the airline’s continued expansion within Asia’s rapidly growing air travel market. The order was previously attributed to an unidentified customer on Boeing’s Orders & Deliveries website. “This acquisition is a major step in our growth strategy,” said Ken Choi, chief executive, Jeju Air. “We fully understand the benefits of owning and operating airplanes, which is what drove our decision to purchase these airplanes. “We are confident that this order will enable Jeju Air to further strengthen our position as a leading low-cost carrier in Northeast Asia. The carrier currently operates an all-Boeing fleet of 26 Next-Generation 737-800s. 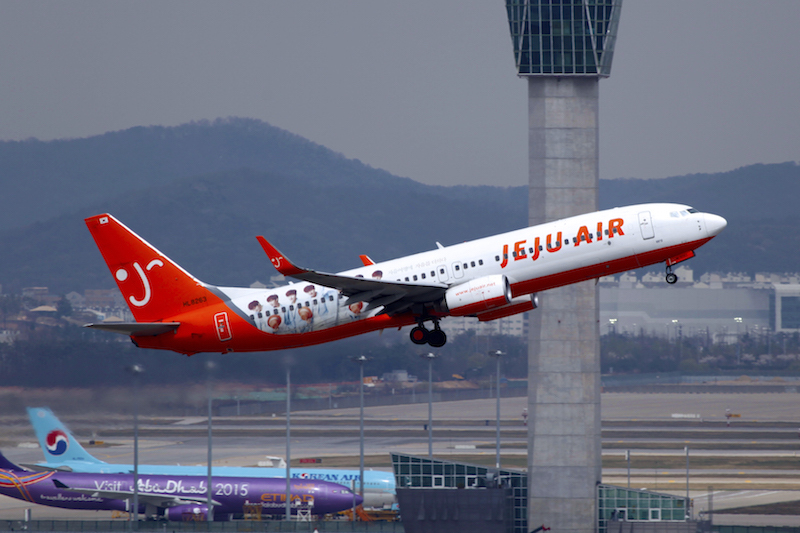 Jeju Air, based in South Korea was established as Korea’s first low-cost carrier in 2005 and launched operations in 2006. The carrier currently serves 40 domestic and international routes with approximately 150 daily flights. The 737-800 is the best-selling version of the highly successful Next-Generation 737 family, which is the world’s most popular airplane. Jeju Air’s new 737 will feature the Boeing Sky Interior, the 787 Dreamliner inspired cabin, providing passengers a greater sense of spaciousness with decorative sculpted sidewalls, larger window reveals, LED mood lighting and larger pivot overhead stowage bins.